Home » Taurus Woman » Taurus Woman In Love – Where Is Her True Face? Lots of astrologers believe that, among the 12 Zodiac Signs, girls who come under the Taurus sign is considered as “the master of seductive art”. 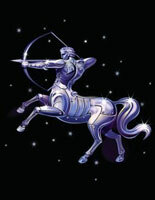 The Taurus women don’t take possession of a strong personality as Leo or glibness of Gemini. However, they know how to attract the others by using her secret smile and meaningful eyes. Do you know that? Any Taurus female clearly understands her good points so that she can avail to allure the others. However, in reality, a Taurus woman has lots of opposite opinions in their relationship, especially with men. She loves the way these men pursue her (one or more) and “break down” because of her natural beauty and implicit attraction. It can’t be said that she will be easily flirted by them. The secret thing in her heart of hearts is to have a firm and safe love, including sentiment and finance. 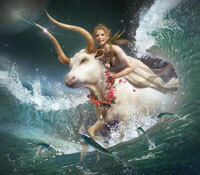 Although putting bright looks outside, the Taurus woman is the embodiment of a traditional one. She’s very devoted, faithful and loves protecting her beloved ones. She is not the same as Aries woman – a free-spoken person, but she’s always ready to share her honest feelings and shows her love in various ways. Truly, the true nature of the Taurus female is to look for the safest way in love. Hence, making a plan always ranks at the top her priority. We won’t see a Taurus girl who dares to rush headlong into an uncertain love. Keep in mind that she has lots of plans which are formed in her mind earlier, and she never lets anything happen without having her control. Interestingly, she might take control of her love in each period. 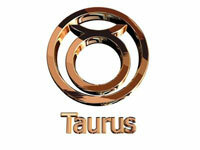 Normally, the Taurus women will create an interesting impression of their unhurried and unruffled attitudes. 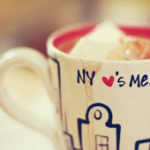 However, no one knows that they contain high jealousness, especially in love. Actually, if they love someone, they will keep their relationship serious. She’s a type of woman who rarely loves someone. Hence, when falling in love, she hopes that man belongs to her forever. It sometimes makes her partner feel uncomfortable. However, one interesting thing just happens to the Taurus female without having in any girl. She has a tendency to show up their emotion clearly and hard to hide her anger. Luckily, she never keeps it for a long time and lets it slip away easily. Steady, durable and safe – we will get all when having a relationship with the Taurus woman. Be happy and feel secure because we’re the best person who is chosen to travel with her until the end of the way of life. For more details relating to this article “Taurus Woman In Love – Where Is Her True Face?” don’t be reluctant to send your enquires in the box here and get our replies in the soonest time.